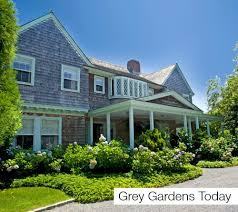 The famous Grey Gardens mansion in the Georgica Pond neighborhood of East Hampton has gone up for sale for $20M, according The Wall Street Journal. The home was featured in the 1975 documentary, "Grey Gardens" which featured its owner Edith Ewing Bouvier Beale, known as "Big Edie" and her daughter "Little Edie" (shown in the photo below in front of the house. Bouvier Beale was an aunt to First Lady Jacqueline Kennedy Onassis. 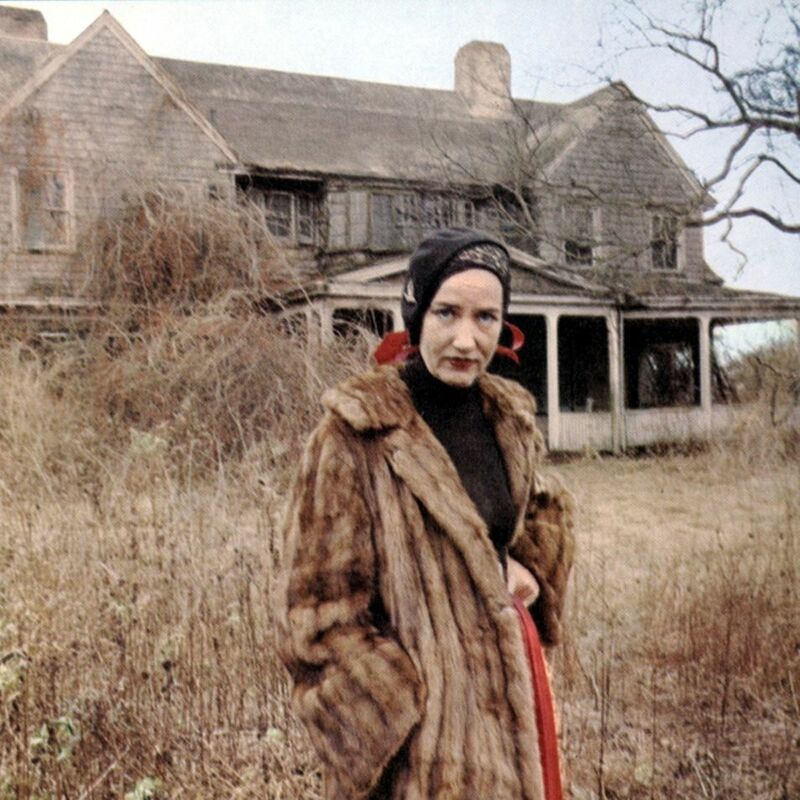 The documentary illustrates the tragic, ruined lives of these two ladies and their house. There was also a 2009 great television film dramatizing the story which starred Jessica Lange and Drew Barrymore as Big Edie and Little Edie, respectively. A 2006 Broadway musical which continued to bring this tragic tale to the forefront. There was an LA production done of the musical at the Ahmanson Theater which starred Betty Buckley and Rachel York in the title roles which I saw in 2016. Back to Grey Gardens the mansion which in the documentary was shown in complete ruin even though it was occupied. The mansion eventually was bought by Sally Quinn and Ben Bradlee, editor and journalist, respectively, of The Washington Post . The property was restored by the couple. According to Ms. Quinn, it was furnished with refurbished pieces that she found in the attic which belong to the Beales. Interesting footnote, I thought, to a legendary story.